Al Tizon, the Covenant’s executive minister of Serve Globally, is challenging the way we think about the world and how we engage in mission. To say that the world has changed and continues to change at an unprecedented rate would contend for the understatement of the year. Words like globalization, urbanization, and all things post- (post-Christendom, post-colonialism, etc.) describe our world today. Not only that, the world has entered into a disturbing era of vitriolic, macho politics and increasing ethnic and religious-based violence. Some say we’re on the verge of World War III, if we’re not already there. How does the church engage in mission in a world such as this? To ask such a question is to reimagine mission. One of the legends around theologian Karl Barth, who among other things was the principal drafter of the Barmen Declaration (see #885 in the Covenant Hymnal), is that he did his morning devotions with the Bible in one hand and the newspaper in the other. (Today it would be the newsfeed on his smartphone.) The point is, awareness of the world around us is key to a truly faithful, engaged, relevant—in a word, missional—life. My own reimagining has led me to re-affirm and re-articulate seven convictions that I offer here as a guide as we move forward in our mission to make more disciples among more populations in a more just and caring world. First of all, our mission has to be authentic, that is, it has to be true to the goodness of the good news. For too long, the church colluded with colonial powers that committed crimes against humanity—specifically, non-Western peoples—in the name of civilizing the world. Granted, it was the zeitgeist, the spirit of the times; but the courthouse of history has not let the church off the hook for its role in the colonial project. For hundreds of years, mission was not necessarily “good news” for native peoples, as they were subjected to forced evangelism and Christian education, which had the goal of Western assimilation. Not very good news! We might be tempted to say that the colonial era of missions is behind us now, but the truth is, old ways die hard. Critical, condescending attitudes toward host peoples, manipulative evangelistic tactics, Christo-American exceptionalism, and alien forms of church—all are realities that still exist today. In our postcolonial world there should be zero tolerance for such practices. For too long, the church colluded with colonial powers that committed crimes against humanity—specifically, non-Western peoples—in the name of civilizing the world. Covenant missionaries are well aware of these concerns, and they are committed to bearing witness to the good news of God’s saving love, unconditional mercy, and true peace with justice. Mission today needs to be a conduit of the truly good news of Jesus Christ. It needs to be authentic to the gospel. Holistic mission has been our legacy. Although the Covenant Church did not completely escape the intense battles around the evangelism-versus-social concern debacle of the twentieth century, we have for the most part affirmed both word and deed in our gospel witness. But in order to be truly holistic in today’s fragmented, war-torn world, I’m convinced that we have to think and act in terms of the ministry of reconciliation. Our divided world has compelled us to redefine holistic mission not so much as putting evangelism and justice back together (though we should always keep them together), but as participating with God in the healing of the nations. Embracing such a theology of mission requires continually rethinking our evangelistic methods. There is no room for aggressive tactics that add fuel to the fire of religious wars. Our call is to be reconciler-evangelists, to bear witness to Jesus uncompromisingly but to do so in a way that reflects love across difference. Part of that means being open to forms and expressions of the faith that are unfamiliar to us. For example, do those who respond to Christ in a Muslim culture really need to erect a church building that looks like the one we would build in Middletown, USA? Do those who emerge as leaders always need to be called pastors? And so on. Furthermore, a holistic theology of mission requires strengthening the conviction that ministry to, among, and with the poor and oppressed is truly gospel work and not peripheral or preparatory to it. Loving mercy/doing justice is the gospel. The church needs all of the spiritual gifts of preaching/teaching, service, mercy, hospitality, and administration to be in full operation. 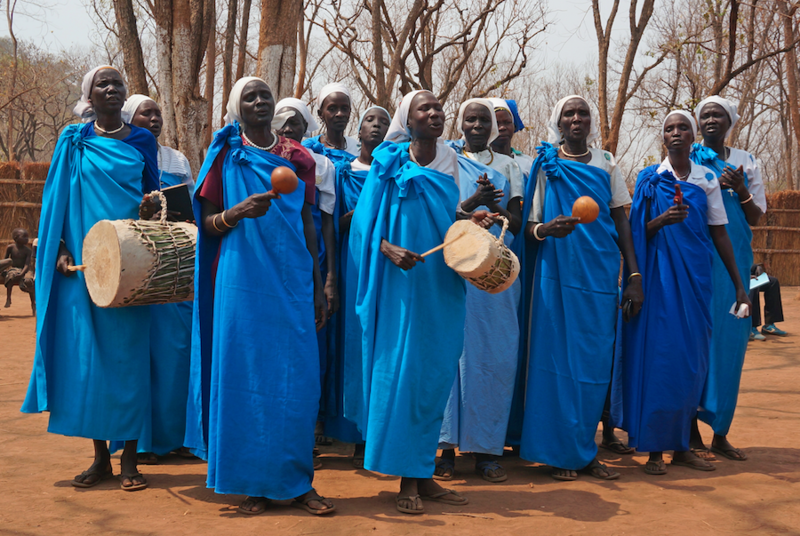 South Sudanese women worship according to their custom in a refugee camp. Mission today calls for full, relational immersion in the cultures we serve. It requires establishing real presence with people—learning through relationships their life ways, values, beliefs, history, language, and communication patterns—in order to bear witness to the gospel contextually, lovingly, and effectively. The international migration of peoples and the ubiquitous use of the Internet have made interconnections a daily reality. As such, we are exposed more than ever before to a smorgasbord of religions, ethics, ideologies, and perspectives that are different from ours. Who and what should people believe? 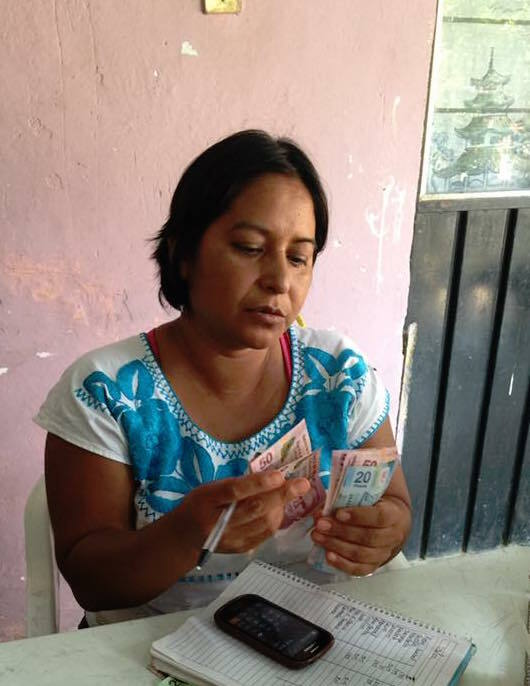 Fuentes Libres, a ministry that provides micro-financing and spiritual formation to marginalized women in Oaxaca, Mexico, was an initiative of Covenant missionary Nancy Jo Hoover but is now run entirely by local residents. This commitment is in contrast to a number of things. First of all, it is over and against the compound mentality in which missionaries live and think differently from host peoples. Granted, contextualization is an arduous, difficult process, but in today’s world, our efforts to immerse fully in cultures in which we serve give credibility to our message. The incarnation also challenges the seemingly irreversible growth of short-term missions. Don’t get me wrong: I am not against churches sending teams to work with willing hosts in other lands. In fact, Merge—a ministry of Serve Globally—exists precisely to help churches engage in short-term, culturally sensitive and relevant ways. But a red flag goes up when short-term missions replaces long-term commitment. We can’t know for sure until solid research is done, but there is more than likely a correlation between the increase of short-term mission groups and the decrease of long-term missionaries. In a world that needs to hear and see the gospel amid a sea of other choices, the church needs to commit to full-on, all-the-way-in, relational, and sacrificial mission. Mission also requires genuinely equal, intercultural partnerships. This is at once a rich and difficult statement. The picture of the body of Christ working together across cultures reflects the power of the Spirit to break down dividing walls for the sake of the gospel. Yet both missionaries and national leaders know this is easier said than done! Default patterns of cultural hierarchy get in the way, especially as Western missionaries assume positions of leadership and national church leaders acquiesce. Today’s world demands that we try harder in the Spirit to level the playing field—better yet, to reverse the relationship so that the national churches lead and missionaries take on support roles. There are subtle but important differences between partnerships that are cross-cultural and those that are intercultural. “Cross-cultural” implies, at best, a neutral relationship between two cultures wherein no one changes, whereas “intercultural” conveys the idea that transformation happens to everyone—nationals, missionaries, and the communities in which they serve together. Intercultural partnership is built on the genuine belief that all peoples are equal before God, and furthermore that everyone involved could use a little transforming! Today’s world demands that we try harder in the Spirit to level the playing field so that national churches lead and missionaries take on support roles. I am grateful to have discovered that Covenant churches around the world are led, for the most part, by national leaders. The Evangelical Covenant Church in Kenya, Thailand, Ecuador, and other countries do not answer to the Covenant Church in North America. Even as I write, a Christian development organization in East Asia, in which a handful of our missionaries serve, is involved in a major transition as local Christian leaders take up positions once occupied by missionary personnel. Through this transition, missionaries will take their rightful place as supporters of the vision, goals, and strategies of the school. Even though people in the midst of it are encountering challenges, everyone agrees that this transition is a good thing, reflecting a genuinely equal, nationally led, intercultural partnership. Despite the fact that dictionaries do not recognize the word “glocal,” this concept certainly conveys an undeniable reality today—namely, that the world is as much “right here” as it is “over there.” Furthermore, what happens “over there” has implications for “right here,” and vice versa. Sociologists say the world is shrinking, that is, in the age of globalization, cultures have come together (some say “clash”) in such a way that we encounter difference—the “other”—on a daily basis. As such, to define mission in geographical terms, differentiating between home and foreign missions, makes less and less sense. Indeed, whether we cross the ocean or cross the street, we are called to be interculturally competent to talk about God’s reign in Jesus Christ with those who have not yet seen or heard the gospel. The adage that we are all missionaries has never been truer. So churches are called to serve the nations in their own backyard without, of course, compromising sending some to ends of the earth. The call in the book of Acts to be Christ’s witnesses “in Jerusalem, Judea, Samaria, and the ends of the earth” does not give us permission to choose between the local and the global. It says “and” not “or”! We need to grasp this truth more firmly than ever before in our incredibly shrinking world. Mission today is both local and global. As I have learned to take glocal mission seriously, I have seen the need for Serve Globally to establish a domestic face in order to inspire, equip, and mobilize local congregations to engage in God’s mission everywhere. One of the first initiatives of the new office of missional congregations (in partnership with Make and Deepen Disciples) is to develop a vision and a strategy for churches to serve international students on university campuses nearby. These and many others who study, work, or live here represent the world at our doorstep; so we would do well to engage in glocal mission. Missiologists such as Andrew Walls and Philip Jenkins have documented the remarkable shift of the church’s center of gravity from primarily in the West with a predominantly white face to the global South with a predominantly brown or black face. According to Jenkins, a typical Christian today would “be a woman living in a village in Nigeria or in a Brazilian favela.” Indeed, a world Christianity—a precursor to the all tribes, nations, and tongues scenario of Revelation 7—has developed, and this is cause for great celebration. How does the phenomenon of world Christianity impact the church’s mission? Among other ways, it certainly affects its flow or direction; no longer is it one-way from the Christian West to the “mission fields” of Africa, Asia, and Latin America. Rather, it is from everywhere to everywhere. Brazilian missionaries are sent to Japan, Portuguese to France, Koreans to America, Indians to the Middle East, and Kenyans to England. What were once primarily mission-receiving churches are increasingly sending their own missionaries to preach the gospel to the ends of the earth, including to post-Christian Europe and North America. Furthermore, there is a diaspora movement in which, for example, Filipino Christians who are slated to work in other lands as nurses, engineers, factory workers, and domestic helpers, are being trained to share their faith in their new contexts. The global church together in multi-directional mission is definitely messier—try drawing a diagram!—but far more effective in reflecting the diverse and powerful gospel throughout the whole world. Josef Rasheed, regional coordinator for Africa, and Al Tizon, have made increasing ethnic diversity of missionaries a priority. 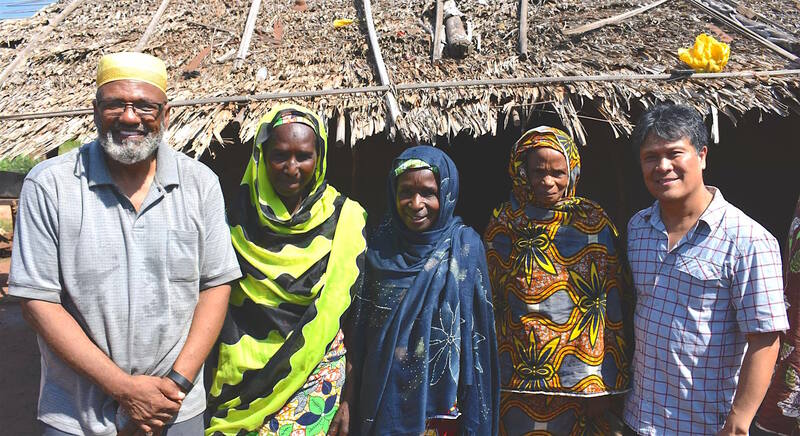 In that light, rethinking mission means being more intentional about reflecting the diversifying church in the missionary personnel we send out around the world. I am grateful for the Covenant’s commitment to gender and cultural diversity, and we are committed to translating that among our missionary recruits. Compared to other denominations and mission agencies, the Covenant has been above average in sending Latino/a, Asian, and increasingly African American missionaries around the world. But we can do better. We can be even more intentional about reflecting the beautiful diversity of God’s people engaged in God’s mission. This commitment to missionary diversity will also require reviewing current structures, protocols, and expectations, which seem to lend themselves to sending primarily well-resourced European Americans as missionaries and which conversely disadvantage less-resourced, nonwhites to serve globally. The Spirit is calling the whole church in all of its diverse glory to engage together in God’s mission, and our structures and models need to reflect this. We are called to bear witness to the unchanging gospel in an ever-changing world. As we have reimagined our mission in light of massive global changes, we must stay true to the goodness of the good news. We must be uncompromising in our commitment to evangelism, justice, and reconciliation. And we must be radically relational, foster genuine partnerships, commit to local and global—glocal—mission, affirm the multi-directional, from-everywhere-to-everywhere flow of missionary efforts, and reflect the changing face of the church in those whom we send out into the world. May these convictions guide us well as we seek to be the faithful and relevant people God has called us to be. This article is part of the Companion’s “Reimagine That” series, which includes, stories, interviews, and commentary about shifts in various areas of ministry throughout the church. 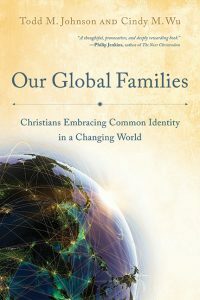 For further reading, see Our Global Families: Christians Embracing Common Identity in a Changing World. Authors Todd M. Johnson and Covenanter Cindy M. Wu provide a foundation for understanding our shared Christian identity in the world—and then explore practical ways that identity impacts the church, interfaith communities, and the world’s need for justice and peace.